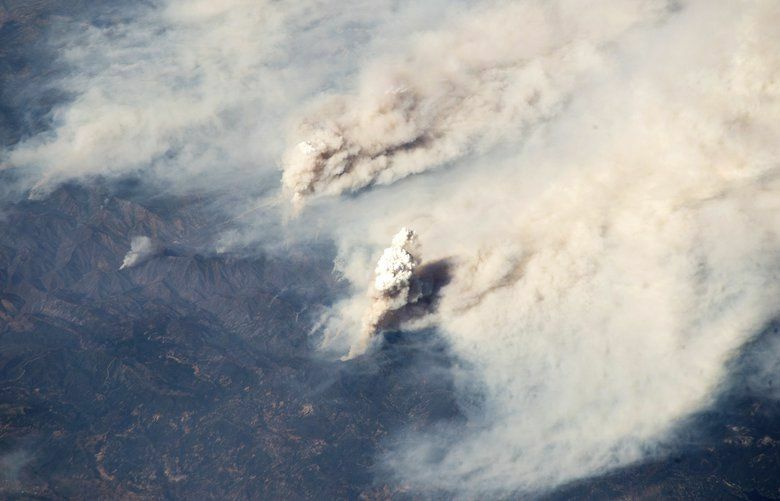 "It still feels hot right now and when you throw some smoke in the air it just makes it seem worse," said Dana Felton, weather-service meterologist. I’m sorry, Seattle. I was wrong to get your hopes up. A little over a week ago, I wrote that our sweltering stretch of 90-plus degree days were likely over and that cooler weather was on its way. Lower temperatures and some rain did visit, but that didn’t stop the heat from returning. And, as you now know, a 90-degree day in August still packs a wallop. 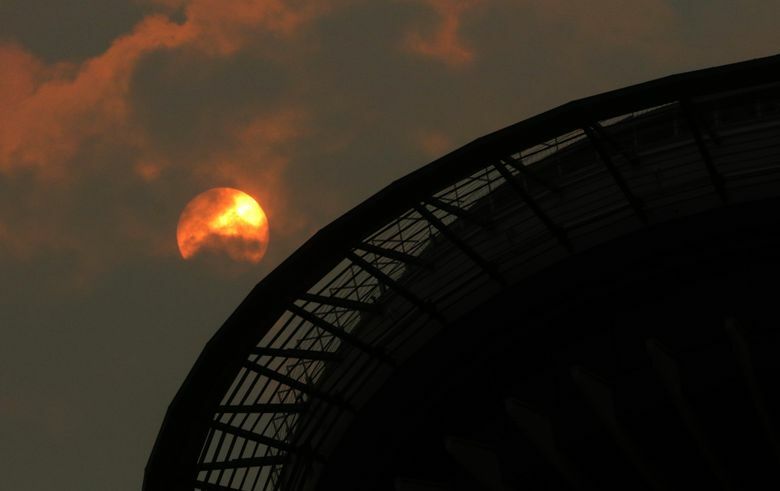 Andy Haner, a meteorologist with the National Weather Service (NWS), said Seattle hit 91 degrees Thursday and that smoke from the wildfires in California and Oregon could cap it at that temperature because smoke, much like clouds, can shade the earth from the sun’s heat when thick enough. Haner’s colleague, Dana Felton, said a push of marine air on Friday could drop high temperatures down about 5 to 10 degrees. On Saturday, the flow aloft should change directions, pushing the smoke out. In addition, an upper-level trough may bring clouds, a chance of showers and significantly cooler highs of around 70 degrees, he said. 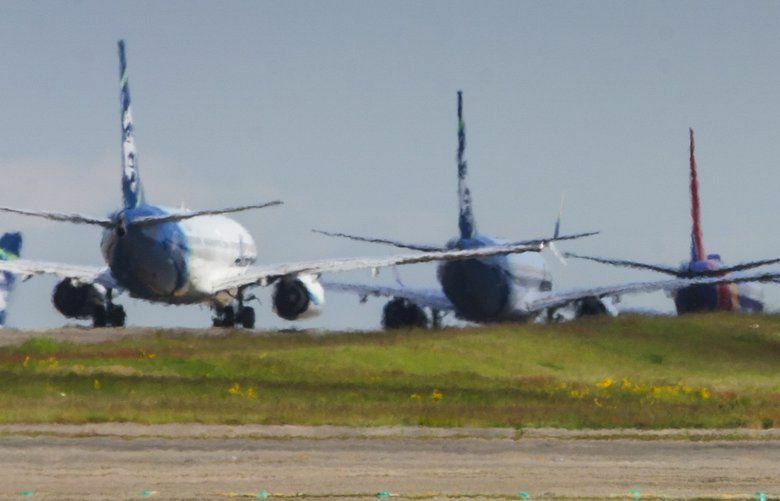 The trough will not linger, however, and the sun will be back on Sunday with a predicted high of 78 degrees, with temperatures creeping upward on Monday, with a predicted high of 85, and on Tuesday, when highs could reach 87 degrees in Seattle. For those longing for cooler weather, Felton said chances of temperatures topping 90-degrees days drop off dramatically after Aug. 18. Historically, we have had more 90-plus degree temperatures on July 29 than any other day, Felton said. In second and third place are Aug. 8 and 9. The record was set in 2015, when we had 12 days with temperatures that reached 90-degrees or more, Felton said. So far this year, we’ve had nine, which ties us for second place with 1958, according to Felton. 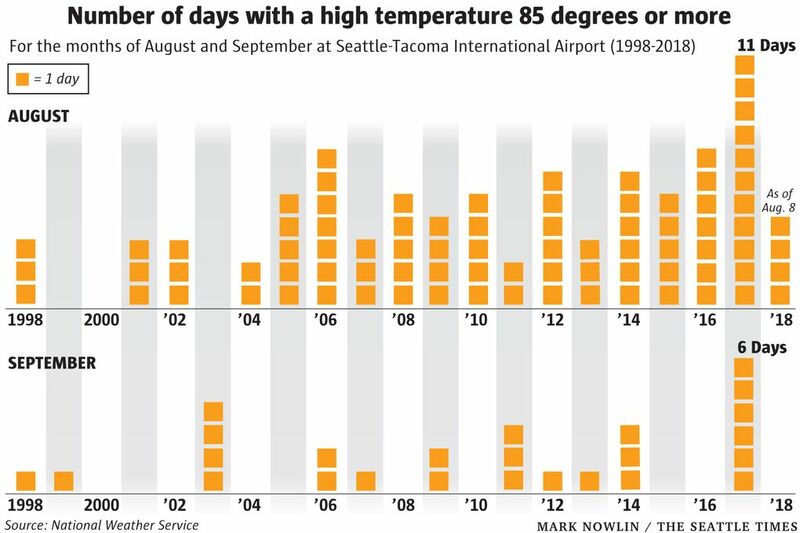 If you look, however, at high temperatures of 85 degrees-plus, Felton said, we are likely to end up in a tie with last year, when we had 27 days with a high of at least 85 degrees. “It still feels hot right now and when you throw some smoke in the air it just makes it seem worse,” Felton said. So, sorry for leading you on, friends. Hang in there.